The College Library was established in the year 1880 along with the establishment of the College. The main building of the College was commissioned for use in 1885 and the library was shifted to one of the halls of this building in 1886. During the centenary celebration of the college in 1980, a centenary memorial extension to the main building was constructed and the library was shifted to this new building where it is presently located. It occupies a total area of more than 14,000 sq ft and is spread over three floors. It has a seating capacity for 250 users at a time. Over the years, the library has stacked with carefully chosen books for the use of the staff and the students. At present, the library has over 87000 books and bound volumes of journals covering a wide variety of subjects. It also receives over 230 current journals on various subjects. It has access to 38,837 full text journals in e-form and around 20,000 journals with abstracts. 1,34,000 e-books are available on n-list digital library facility and 30,00,000 e-books on World eBook Library. Classification & Cataloguing: The College library uses Dewey Decimal Classification Scheme for classifying the books. Classified Catalogue Code is used to prepare the catalogue entries in the library software. Use of software for library automation: Easylib – An entire automation system for libraries: As the name indicates, it is a comprehensive automation system for libraries. Library is fully automated using this commercial software. Bar-coding is used for book circulation. OPAC: Online Public Access Catalogue is available in the library. Reference Service: A well furnished reference section is maintained in the library where staff and students can pick the book of their choice and make reference. Important textbooks, Encyclopedias, Dictionaries, Reference Books, Multiple volume sets, Dissertations, Question paper sets etc. are displayed in this section. Periodicals Section: Newspapers and periodicals are kept in the periodicals section. Students and staff can read and refer to the periodicals and, if required, ask for photocopies. Library receives more than 230 journals and magazines. 4. WORLD E-BOOK LIBRARY: This is world’s largest eBooks collection in which over 30,00,000 eBooks, e-Documents and e-Journals are available. It is designed to support academic research at all levels on all subject areas by providing unabridged e-Books originally scanned from the top 50 university libraries in the world. The list of academic publications include Harvard University, Massachusetts Institute of Technology, Stanford University, Oxford University, Cambridge University, Princeton University, Johns Hopkins University and other university presses. It also has digitized eBook titles from 42 European National Libraries. College Library subscribes this World e-Book Library through Nlist. PG Library: To cater to the needs of Post-graduate students and teachers a separate PG Library was established in the year 2001. The library is housed in a spacious hall in the Maffei Block of the College. It is a fully automated Open Access library and uses Easylib Library Management Software for library management. There are more than 21,000 books and the library receives more than 80 journals. AIMIT library spread over an area of more than 30,000 sft and located in the Academic Block of the off campus of the College at Kotekar, Beery. This is an Open Access library where staff and students can consult books and journals. There are more than 23000 books and about 1600 project reports. Library receives more than 90 journals and 30 magazines, of these 60 are also available online. About 5886 online journals are available through EBSCO and ProQuest databases. 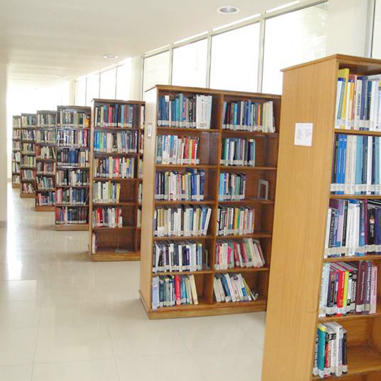 The library is also the member of IEEE and provides online facility for browsing and reserve books. The library is open from 8 in the morning to 11 p.m. and also kept open on Sundays and holidays. Konkani Institute Library: The Konkani Institute of the College was started in the year 1980. As the first step towards the propagation, development and preservation of the Konkani language an exclusive Konkani Library was established which has now grown to more than 9000 volumes and receives a few Konkani journals. This is purely a reference library having old and rare collection of books. Laboratory of Applied Biology Library: The Laboratory of Applied Biology was started in the year 1981 and along with a library is also established. The library is having more than 850 books and receives 30 research journals. Ms Gracy V. Monteiro, B.A., MLISc., Library Asst. Mr Avil D’Souza, B.A., Library Asst. Ms Reshma Kunder, B.A., MLISc., Library Asst. Ms Priya Precilla D’Souza, DLISc., Library Asst. Ms Revathi, DLISc., Library Asst. Mr Joylan James Lobo, B.Sc., Library Asst. Ms Shashikala, DLISc., Library Asst. Ms Jyothi Priya, B.Com., Library Asst. Ms Sushma B.A., DLISc.- Library Asst.